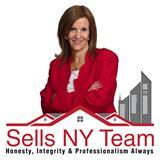 The Sells NY Team looks forward to serving your real estate needs. Long Island has been our home and work place. We are privileged and honored to serve as many families as we have. Our clients have become our neighbors, friends and an integral part of our lives. The referrals we receive from our past clients and fellow agents are the greatest compliment we can imagine! I know our dedication, knowledge and hard work allows us to help them attain their goals. We realize their trust and faith in our abilities to serve their real estate needs, is not to be taken lightly. Every client is treated with the advice, service & respect we would demand ourselves.